XPO Logistics Inc. will buy 5,000 warehouse robots from a Singapore startup backed by billionaire Peter Thiel as part of a deal that makes XPO the only logistics provider to use the technology in North America, the U.K. and eight other European countries. XPO Logistics Inc. is No. 1 on the Transport Topics list of the Top 50 Logistics Companies in North America and No. 3 on the Transport Topics list of the Top 100 largest for-hire carriers in North America. The GreyOrange robots — flattish, rectangular units that move about the floor much like an extra-large Roomba vacuum cleaner — can roll under storage racks weighing as much as 3,500 pounds, lift them and carry them to warehouse workers who pull off items to be shipped. Butler, as the robot is called, helps workers minimize walk time and manual errors, according to XPO. 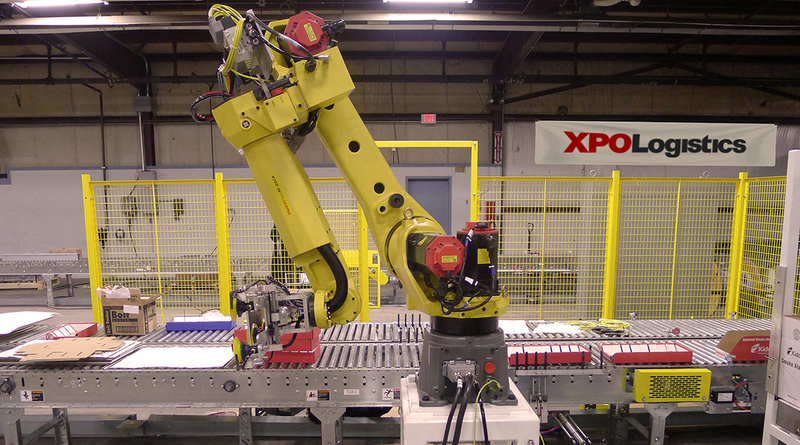 XPO, which provides trucking and warehouse services, has been investing heavily in automation to keep apace with explosive growth from e-commerce customers. With the help of acquisitions, Brad Jacobs, CEO of XPO, has driven up sales to more than $15 billion last year from $175 million when he purchased the company in 2011.